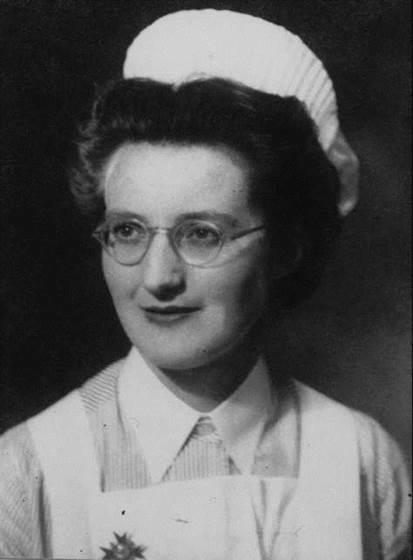 Cicely Saunders was born in North London on 22 June 1918, the first of three children and the only daughter to Gordon and Chrissie Saunders. Her father was a successful estate agent and as his prosperity grew, the family enjoyed a range of middle class material comforts, living at Hadley Green among gardens, tennis courts and cared for by a retinue of servants, companions and nannies. Often unhappy as a child, at fourteen she was sent to Roedean, the exclusive boarding school for girls. In 1938 she went up to Oxford University to read Politics, Philosophy and Economics. As a student she had a rather dramatic religious conversion whilst on a visit to the Scottish Highlands and she was to move in evangelical Christian circles for some time afterwards. In November 1940 she interrupted her studies to become a student nurse at the Nightingale Training School of London’s St Thomas’s Hospital, spending most of the next three years rotating around accommodation that the hospital had occupied outside the city for the duration of the war: Hydestile, Park Prewett, and Botley’s Park. Her nursing set, with which she remained in contact for the rest of her life, was a source of friendships and social life and within it she cultivated a taste for singing and public performance. In 1944, continuing problems with her back saw her ‘invalided out’ of nursing and soon afterwards she returned to academic studies at Oxford and qualified in 1944 with a war degree and Diploma in Public and Social Administration. She then trained as a lady almoner and resumed work at St Thomas’s. She quickly determined to learn more about the care of those with a terminal illness and was drawn to those suffering from cancer – a disease at that time surrounded by massive stigma and misunderstanding. First she worked as a volunteer in St Luke’s, a home for the dying in Bayswater. Then she made the momentous decision to study medicine, starting in 1952 and qualifying at the age of 38. In 1958 soon after the publication of her first paper on the care of the dying, in St Thomas’ Hospital Gazette, she took up a position as Research Fellow at St Mary’s School of Medicine, conducting work at St Joseph’s Hospice in Hackney under the direction of Professor Harold Stewart. St Joseph’s provided her with a source of inspiration about how dying people might be cared for elsewhere, and also a testing ground for the development of her own clinical ideas. 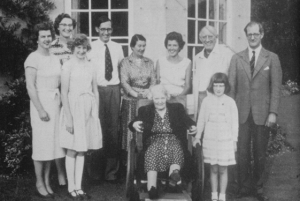 It was here, building on older traditions of religious care and solicitude that she began to develop a modern strategy for hospice care which would be transforming in its scope – and she fitted in well as a ‘Protestant heretic’ within the Catholic ambience. In so doing she felt moved by a clearly articulated sense of personal calling, which from an early stage led to the belief that her ideas could be generalized and taken up in many other settings. She would be the first modern doctor to dedicate her entire career to caring for those at the end of life, though many followed her into what has now become a recognised medical specialty. 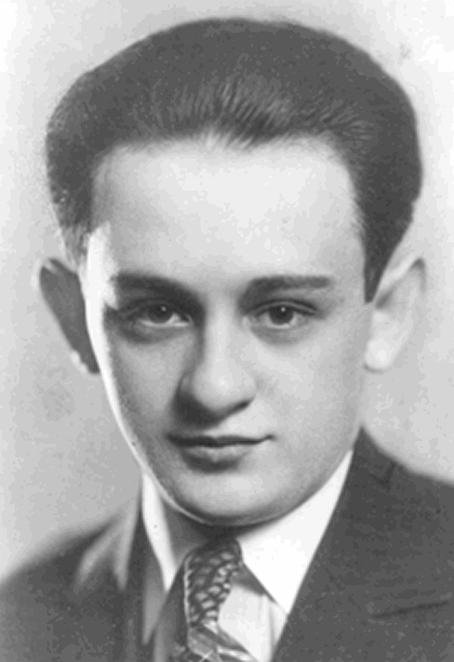 In the early 1960s however there were personal losses which had a profound effect. 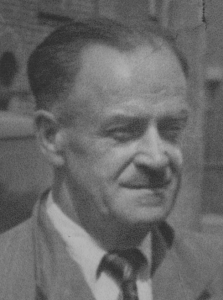 In particular there was Antoni Michniewicz, another Pole, for whom she cared at St Joseph’s and to whom she became deeply attached, even as he was dying. When he died however there was an experience of complete heartbreak, which she shared only with a few close friends. During the following months another precious patient and friend also died, ‘Mrs G’, whom she had known for seven years. Finally, in June 1961 came the death of her own father, Gordon Saunders. He had been ill for some time, but her grief was further complicated by what seemed unfair terms in his will. It was a painful triad of losses and as she remarked later: ‘I got my bereavements muddled up’. Despite all this, the early 1960s also saw from her an outpouring of published articles and book chapters. Experience as nurse, almoner, and doctor brought a remarkable breadth to these writings and from the very beginning carefully crafted patient narratives and case histories were a feature of her approach, bringing the intense human expression of suffering to clinical audiences. Her series of six articles which first appeared in Nursing Times in 1959 provoked huge interest and delighted the editor. Lecture tours to the United States took place in 1963, 1965, and 1966, each one leading to wider recognition. She began to taste something of the success of professional acclaim and embraced it with a palpable relish. At the centre of a small network of thanatologically-minded activists, she responded with bemused English delight to the attentions of her North American admirers. In these years she laid down the basic principles of modern hospice care. 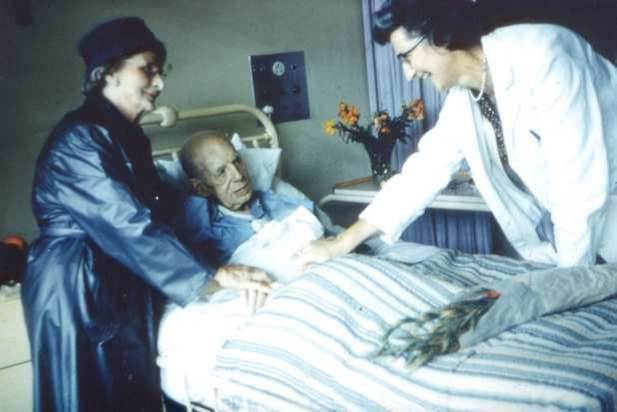 She developed a systematic approach to pain control in terminally ill patients; she gave attention to their social, emotional and spiritual needs; and she began teaching what she knew to other people. Her concept of “total pain” provided a revolutionary way of conceptualising the complexity of patients’ suffering. In response to medicine’s despairing rejection of the dying patient (“there is nothing more we can do”) she offered a positive, imaginative alternative that sought to ensure pain relief, maintain dignity and to enhance the remaining period of available life, however short. Most importantly, it was in these years that she worked on her own vision to build a modern hospice facility. To signify that it would care for people on their last journey in life, it was given the name St Christopher’s. She gathered around her a group of like-minded enthusiasts who helped to work out the plan in detail and she was assiduous in cultivating merchant companies, major trusts and establishment figures for their endorsement and financial support. There were huge barriers to be overcome. Senior physicians were slow to come on board. The care of the dying was a low priority within the British National Health Service. There was a lack of research and no specialised education in the field. Social indifference to matters of care at the end of life was widespread. Yet after eight years of fund-raising, planning and promoting the idea, St Christopher’s Hospice, located in a leafy street in Sydenham, opened to its first patients in the summer of 1967. As she often remarked afterwards: “it took me nineteen years to build the home round the window”. It had been a momentous struggle to raise the wherewithal to establish an independent charity with its own purpose built accommodation and hand picked staff, but despite the inflationary financial climate of the times, on opening day all debts had been cleared. 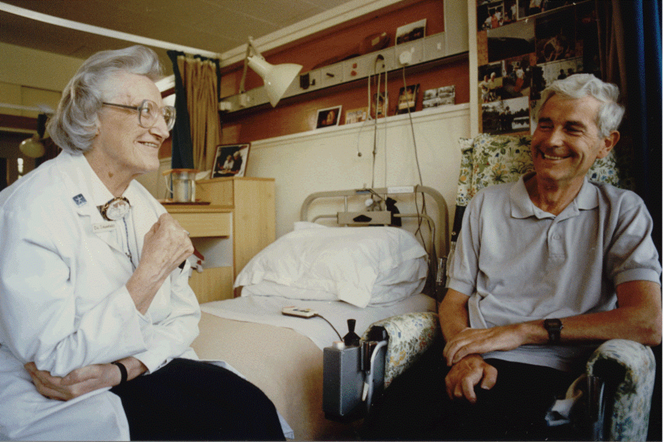 For the next eighteen years Cicely Saunders was the medical director of the hospice she had created. She quickly expanded its services to include home care, she promoted clinical studies into pain control and championed the evaluation of the hospice’s work, and she developed a centre for specialist education. The international lecture tours continued and there was a constant flow of writing and teaching. Media attention, never far away, made the hospice well known throughout the world. She received many prizes and honours from numerous countries, including the Lambeth Doctorate of Medicine (1977), the Gold Medal in Therapeutics of the Worshipful Society of Apothecaries, London (1979), the Templeton Prize for outstanding contributions in the field of religion (1981) and entry into the Order of Merit (1989). Meanwhile, St Christopher’s attracted thousands of visitors each year and became a beacon of inspiration for others who came to study, to develop clinical skills and to conduct research. In 1985 she retired from full-time work at the hospice, but remained active in her writing, teaching and support for developments in hospice and palliative care. Her private and professional life continued to be matters of public interest. She was the subject of a biography and of television documentaries and press interviews. Her towering presence helped to shape the iconography of the modern hospice movement. In 1980, after years of living quietly together, she had married the Polish artist Marian Bohusz-Sysko, whom she had first met in 1963. They settled into a pattern of domestic life together punctuated by visits from friends and well-wishers. When Marian became ill, she refused to travel for some time and adopted the regular routine of the family carer. 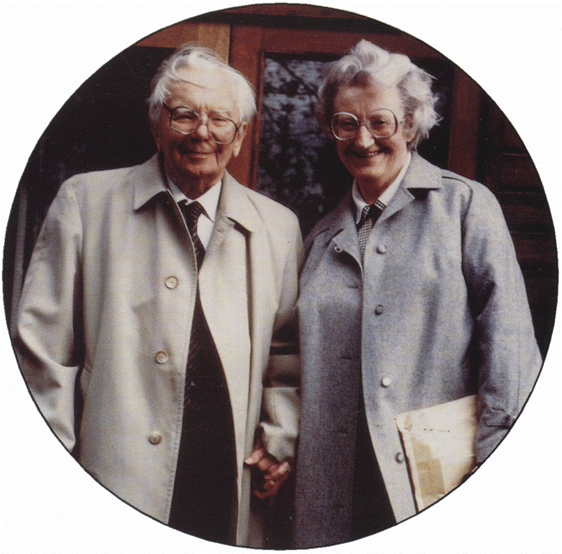 After Marian died in 1995, she resumed her external interests and for a few more years continued to speak at international conferences and meetings, where her work remained a source of inspiration to those endeavouring to develop palliative care around the world. Her eightieth birthday was celebrated in 1998 with a conference in her honour at the Royal College of Physicians, London. In the year 2000 she retired from the position of Chairman at St Christopher’s Hospice to take on the role of President/Founder and to assist in the development of the Cicely Saunders’ Foundation, at King’s College, London. But at St Christopher’s she kept up a daily routine of morning prayers in the hospice chapel, followed by quiet talks with staff and visitors and lunch in the dining room. In these years her spiritual life became deeper and more complex and she found sustenance in a wide array of reading, from the mysticism of Julian of Norwich to the contemplative poetry of Anne Ridler, as well as in conversation with her closest and oldest friends. In 2002 she developed breast cancer. Strangely, she seemed relieved by the diagnosis. Yet she also exhibited great ambivalence about her own mortality: on occasions appearing to welcome death, only to push it away in the hope of a few more years to ‘tidy things up’. Her interest in the world of palliative care never diminished and she seemed always in touch with its news and gossip, despite illness and a lack of mobility. As her condition worsened, she was relieved in early 2005 to move into a room on Nuffield Ward of St Christopher’s. There it was that she died: in the hospice she had first set out to create over forty years earlier. Cicely Mary Strode Saunders, OM: born 22 June 1918, died 14 July 2005. I am a NP and work with many different hospices for my patients, I can’t express fully enough my deep appreciation for this woman and her vision. I promise every patient and there families that I will battle pain and win. They have my word that they will have a good passing. So far I have kept my word. I have admired Cicely Saunders since learning of her early in my hospice career, 14 years ago. Thank you for this piece which provided me new insights into her personal life and struggles. My mothers name was Cicely and my birthday is 22 nd June. We were both nurses. I’ve recently retired after 50 years of being a nurse. The last 20 years working in Elder Care.Often working with Hospice. It’s been a wonderful journey. Dam Cicely’s unique approach to caring with compassion for all aspects of the patient at the end of life, has penetrated and been full y accepted in the African context.Her spiritual foundation which has penetrated all her teachings, is embraced by Africa and underpins the ethos for African Hospices, dictating our approach to all we do. We are so grateful to prof David Clark for his archives on her life and spirit. Her compassions is essntial to medicine and to those leaders in the world, if we are to understand each other and change the face of medicine so that patients receive the understanding and empathy so often denied them by our the highly scientific and financial gain approach to medicine in 2015.